Come to Tones Day Spa in the Bronx, New York, to reward yourself with luxurious, rejuvenating spa services. 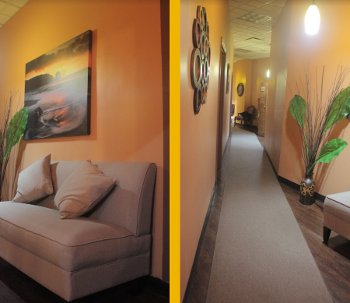 As a full-service day spa for men and women, Tones Day Spa provides a myriad of services for the body, skin and spirit. Our emphasis is on maintaining health, well- being, and appearance with the help of complementary and alternative medicine. We specialize in a wide variety of beautifying and wellness treatments, ranging from skin care treatments, massage therapy, restorative body wraps, scrubs, inch loss and cellulite treatments, skin tightening to semi-permanent eyelashes, waxing and "threading" hair removal services. Additionally, we offer ultrasonic cavitation liposuction, Cool Sculpting treatments and other revolutionary, beautifying techniques. Call today to schedule an appointment! In addition to traditional waxing services, we offer "threading," a unique treatment that quickly and easily removes unwanted hair at the root. This technique allows us to remove your unwanted hair smoothly, without damaging the skin or causing irritation. Visit us today for Special Offers or text us at 95577 Keyword: tonesdayspa and receive spa coupons and spa updates. Featured on the Bronx News, Bronx Talk, Co-op City News, ParkChester News, Premier Issue of Vibe Vixen Magazine, New York 1, AM New York and BXBusiness Publication. Monday-Saturday 10:00 a.m. - 8:00 p.m.
Sunday 11:00 a.m. - 5 p.m.